Post-rock. Math rock. Ambient rock – music with these tags are captivating to the imagination. The music is made up of bubbles of elements forming balls of tones, textures and temptation. Waking Aida have caused a terrific landslide within the scene and it’s clear why. The debut album ‘Eschaton’, has many different strings attached to its bow. Sometimes it attacks, sometimes it’s stripped back, sometimes it’s any math-heads hit and sometimes you’re left shattered and content. The release is intricate, well managed and beautifully arranged so when you listen to it, you can dream, instead of worrying about being awoken by sections not flowing in a linear pattern. Yes – it’s math rock! So, yes! There are sections which feel choppy, disorientated and disjointed to the rest. But it’s smooth. The crescendos are well developed, especially in ‘Matted Fur’’ it’s not overwhelming though mind. You’re ears don’t feel like their about to cave in on themselves – which is always helpful, right? Waking Aida have an Enemies feel to them, only lighter and less forceful. Their debut is incredibly rewarding to their talents and I’m not surprised that their name is creeping up the ladder of bands we should be giving lots of time to. 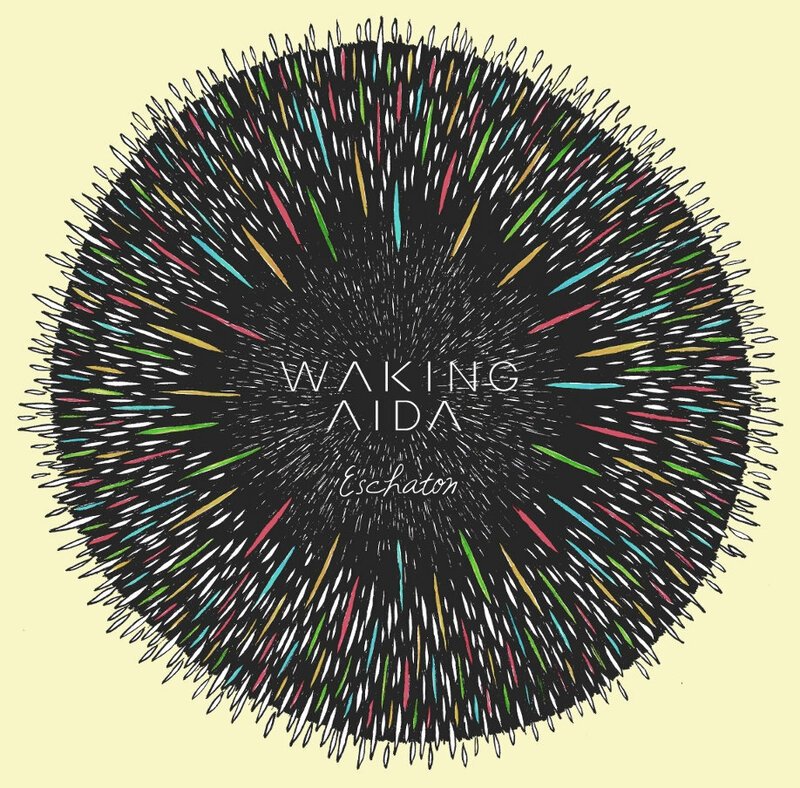 Waking Aida – creating music to inspire and educate – you must listen to this release. A 2014 favourite. FFO: Alpha Male Tea Party. Enemies. This Will Destroy You. For A Minor Reflection. Waking Aida: Website. Bandcamp. Facebook. Twitter. Posted in rant, reviewsTagged Alpha Male Tea Party, Eschaton, Math rock, Post Rock, This Will Destroy You, Waking AidaBookmark the permalink.